Using a handheld mobile phone while driving is not only illegal, but also highly dangerous. 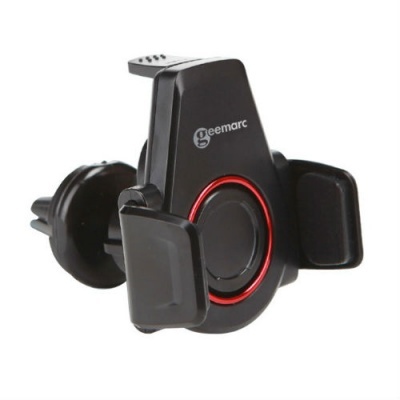 With the Geemarc Octopus Smartphone Mobile Phone Holder with Air Vent Mount, you can still take phone calls on the road, as well as reaping the benefits of your smartphone's GPS system while doing so more safely. 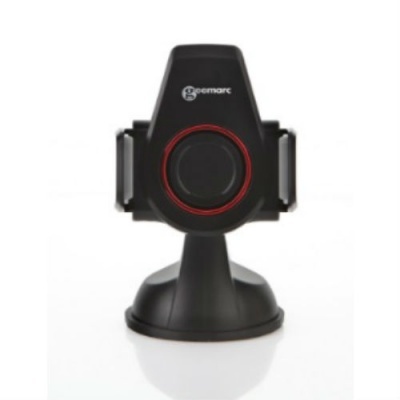 You can connect your smartphone via Bluetooth to compatible car sound systems, and the Mobile Phone Holder will hold the phone in place while you experience louder audio straight from your car's speakers. This will benefit anybody with hearing difficulties who would prefer increased volume, and it will also ensure that phone calls can be heard more clearly while on busy motorways or in noisy vehicles. The holder features Near Field Communication (NFC), which can be used alongside the Geemarc mobile application. This enables you to configure settings for use with the phone holder. For example, you can programme the phone to activate Bluetooth and GPS whenever the phone is in the holder. These programmed settings will automatically be activated whenever the phone is mounted, reducing the amount of contact you'll need to have with your phone while driving.